Amelia Island on the northeast coast and sister islands Sanibel and Captiva on the Gulf offer a quaint charm, luring Florida-bound travelers looking for a more intimate vacation on uncrowded beaches. Why: “As a destination, Amelia Island offers just about anything a visitor could want in a great Florida getaway—beautiful beaches, upscale spas and restaurants, unique shopping, entertaining special events, outdoor adventure and an intriguing history,” says Gil Langley, president and CEO of the Amelia Island Tourist Development Council. Known as the “Isle of Eight Flags,” once home to everyone from Timucuan Indians to pirates and nobles, the old Victorian seaport village of Fernandina Beach, now known as the historic district, offers visitors a great selection of cafes and eateries to choose from. What not to miss: At 13 miles long and two miles wide, “getting around the island is a breeze,” Langley says. Many of the B&Bs and inns have complimentary bicycles for guests to use, or travelers can rent bikes from one of the many area vendors. They can also, and this is a unique element, go horseback riding. 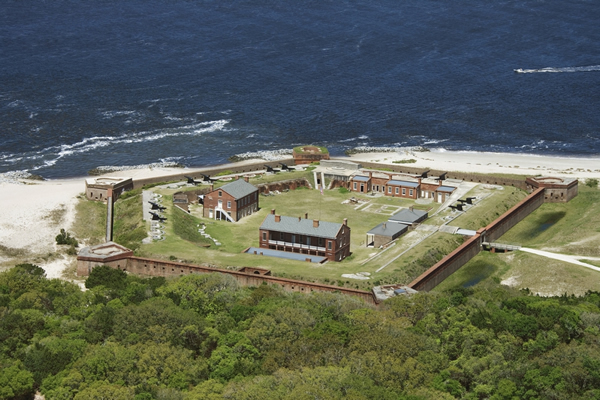 The island, which features protected park reserves in the northern and southern tips, can also be explored on a tour with options including Segway tours, river cruises, guided bike tours, horse-drawn carriage rides, and ghost or pub tours with the Amelia Island Museum of History. Historic pub crawl, anyone? Restaurant pick: Set in the heart of Fernandina Beach, Joe’s 2nd Street Bistro features New American cuisine served on the New Orleans-inspired courtyard or inside the restaurant, a restored 1900s home. Also in Fernandina, Pablo’s Mexican Restaurant, Grill & Cantina serves up fresh Mexican food—think fish tacos and seafood fajitas—and imported beers. We hear the margaritas are a must-have, too. Where to stay: “Visitors can set the tone for their visit by choosing from a variety of accommodation styles, from luxurious resort experiences to family-owned favorites, or a charming collection of award-winning bed and breakfast inns,” Langley says. For clients looking to sit back and take in the ocean views, suggest boutique hotel Elizabeth Point Lodge, which features a wraparound porch on the Main House. The cozy, 20-room B&B offers a Park and Pedal package perfect for guests looking to explore the island. The 3-night package includes accommodations; oceanfront breakfast each morning; daily picnic lunch for two; and complimentary bicycles to borrow. Rates start at $1,308 for an Oceanfront King Superior dbl. Families with children and teens will find something for every age group at the Omni Amelia Island Plantation, which re-opened last month after an $85 million re-imagination. After adding 155 oceanfront guestrooms, the resort now offers 404 oceanfront rooms, as well as a new lobby; renovated spa with two new couple’s relaxation rooms; $3.8 million improvements to the golf facilities; and the new Heron’s Cove Adventure Golf, 18-hole putt-putt golf. Programs for kids and teens are also expanding with a teen concierge; new recreation at Camp Amelia; and the teen hangout, Gamers. Golf-lovers heading to the resort can take advantage of the Unlimited Golf package, starting at $339 per night, featuring accommodations and unlimited rounds of golf and a cart on the two signatures courses, Oak Marsh and Ocean Links. Best time to go: While Langley says mild temperatures and the sea breeze make Amelia Island a year-round destination, the island also offers some of the coolest temperatures in Florida during the summer. Getting there: The Jacksonville International Airport is a 30-minute drive from Amelia Island and offers service from both major and regional carriers including Delta Air Lines, Jet Blue, Southwest Airlines and US Airways. What not to miss: Birdwatchers won’t want to miss the main attraction at J.N. “Ding” Darling National Wildlife Refuge—a 7,600-acre wildlife refuge with 272 bird species, 60 types of reptiles and 35 mammal species. The refuge spans more than two-thirds of the island, offering travelers everything from kayaking to biking or taking a tram ride. 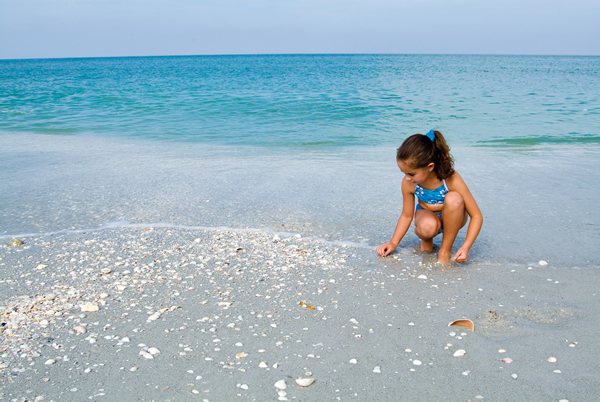 The islands are also known for their shelling, with hundreds of thousands of shells washing up on the beaches daily. Recommend your clients go beach combing and then take their finds to The Bailey-Matthews Shell Museum—the only museum in North America solely dedicated to sea shells—where they can try and identify their shells. Also, don’t miss the Sanibel Historical Museum & Village, with the island’s historic buildings, including a school house. Restaurant pick: These resort communities offer everything from upscale dining to middle-of-the-road. The famous Bubble Room on Captiva Island is a don’t miss, decked out in old-fashioned Christmas lights and filled with nostalgia from the 1930s and 40s, like Florida postcards and old Macy’s Christmas displays. 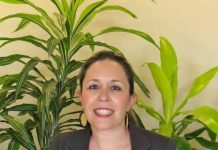 On Sanibel Island, Sweet Melissa’s Cafe features seasonal produce and fresh meats and seafood by the New Orleans chef, Melissa, who also works with the Sanibel Sea School to promote the use of sustainable seafood. And you can’t leave Sanibel without stopping at The Island Cow, with delicious comfort food drawing both locals and vacationers. With the South Seas Bed & Breakfast package, your clients can start the day with breakfast and views of Yacht Harbor Marina. The package includes accommodations in Harbourside guestrooms or in a 1-, 2- or 3-bedroom villas; breakfast at Harbourside including tax and gratuity; and complimentary breakfast for children 10 and under. Rates start at $349 per night. 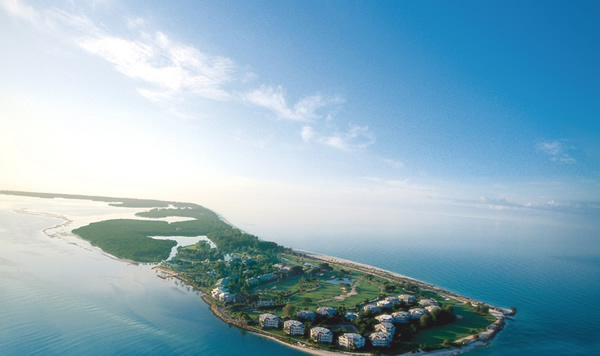 Sanibel Island is known for its inns and cottages. For your clients to get the quintessential island experience, suggest beachfront property Island Inn. What started as a family home in 1885 and later turned into a boarding house now offers guests a variety of accommodations to choose from, as well as “just-like-home” amenities like freshly baked pastries, and beach chairs and towels. Rates start at $115 per night. Best time to go: According to Hamilton, this depends on the traveler. As the weather gets colder in northern climates, animals and birdlife start arriving. Winter is the best time for birdwatchers, and the loggerhead sea turtles can be spotted from May through October, when they come to nest on the beaches. The refuge also has year-round residents, so visiting at any time guarantees wildlife watching. Getting there: Southwest Florida International Airport, located 45 minutes from Sanibel Island, offers nonstop flights throughout the U.S. from more than 20 airline partners including American Airlines, Delta Air Lines and US Airways.